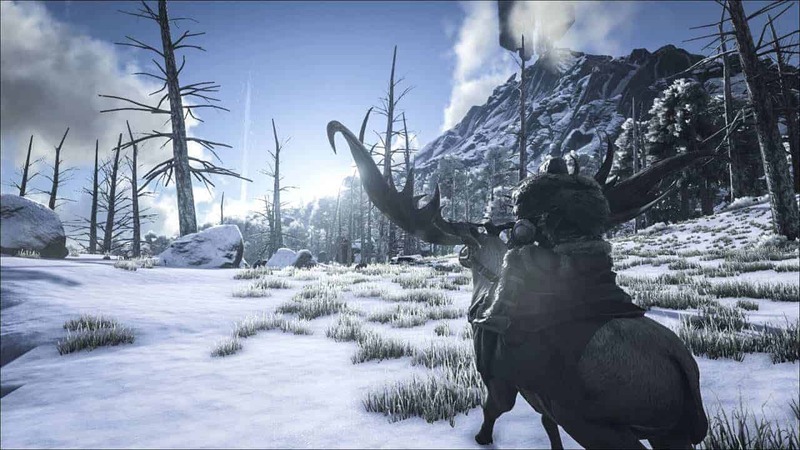 Studio Wildcard continue to improve and expand on the already hugely impressive ARK: Survival Evolved universe as today they announced the release of Fear Evolved, a Halloween themed update that introduces a number of spooky additions. From the Legendary and terrifying DodoRex to Skeleton skinned dinosaurs and Spider Saddles, the developers celebrate all things Halloween today with another in a long-line of content updates for ARK: Survival Evolved. Beginning yesterday, October 28th, and continuing for one week the ARK world undergoes a huge seasonal change as the air cools, the days grow shorter and the nights are darker than ever. The fabled Blood Moon rules the sky, making way for creatures of the night to roam the red tinted lands below. The mythical DodoRex makes its mark with an army of bloodthirsty Dodo’s at its back while re-animated dinosaurs from other species promise a terrifying experience for anyone brave enough to explore the lands of ARK: Survival Evolved come sundown. The Fear Evolved update includes a variety of new items to collect including Jack-o-Lantern’s, special themed costumes, Witch Hats, masks and Spider Saddles – for the first time allowing players to ride spiders in-game.